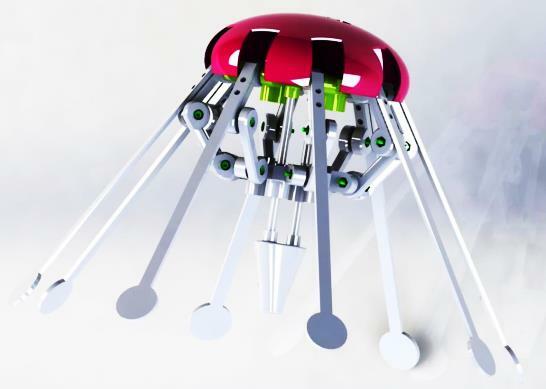 This project examined the feasibility of small, cheap and simple swimmer with no propeller-based propulsion which gives a lower acoustic noise and better maneuvering capabilities. The aim of the project is to design and realize a lone jellyfish-like swimmer. Propulsion of the swimmer was obtained using shape memory alloy (SMA) actuators, i.e. Nitinol (NiTi) springs. 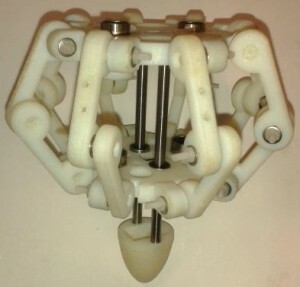 A complete model was designed in SolidWorks and printed using 3D printing.